The process of manufacturing powder coatings is a relatively complex process that must be carefully controlled to ensure a high-quality final product. Powder coatings are manufactured in a multi-step process of pre-mixing, extrusion, and micronization. Basically, materials are blended, melted, cooled, and then pulverized. This blog will focus on micronizing, the last step in the process. Micronizing Process: the powder chips are fed into a grinding machine, which breaks the chips down into a fine powder. The powder is then filtered to ensure that no large particles contaminate the powder. For more information from TCI Powder Coatings on the manufacturing of powder coatings, please refer to our TroubleshootingGuide or contact us today to speak with our experienced team about how we can help you with your powder coating needs. The process of manufacturing powder coatings is a relatively complex process that must be carefully controlled to ensure a high-quality final product. Powder coatings are manufactured in a multi-step process of pre-mixing, extrusion, and micronization. Basically, materials are blended, melted, cooled, and then pulverized. This blog will focus on extrusion, the second step in the process. Extrusion Process: this involves the powder being heated up, which activates the resin and hardeners. The consistency of the powder is changed to a liquid, which is then cooled and hardens into a sheet. This sheet is then broken up into small chips. TCI’s 4000 SeriesSpecialty Systems are an extensive line of powder coating systems, with broad formulation ranges that are engineered to meet unusually demanding requirements for functional and decorative applications. When conventional formulas do not meet the customer’s performance specifications, the 4000 series is typically recommended. The TruIllusion product line was developed to create a special effect appearance. As light reflects the different angles created in the coating, the reflection changes allowing you to interpret or imagine almost anything. Unlike most metallic powder coatings, this is a one-coat system that will help you save significantly in material costs. This product line offers extremely high DOI, highly reflective metallic look, and is formulated for both indoor and outdoor use. TruIllusion is ideal for motorcycle parts, recreation equipment, wheels, displays, and garden accessories, and is available in several color options including black, red, blue, green, orange, silver, and purple. Click here to view available TruIllusion products. Legislative And Regulatory Policy Update – National Ozone Standard Potential Changes Create Significant Opportunities For Powder Coatings. The Powder Coating Institute has partnered with the American Coating Association to highlight updates on legislation and regulatory issues affecting the powder coating industry. The following update is on potential changes to the National Ozone Standard that could create significant opportunities for powder coatings since only small amounts of Volatile Organic Compounds (VOCs) are released into the air with powder coating use. Relatively low levels of ground level ozone can cause health effects particularly to seniors, children, and people with lung diseases. 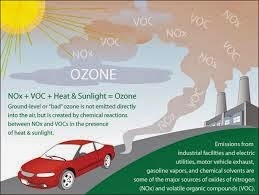 Ground level ozone is created by chemical reactions between oxides of nitrogen (NOx), volatile organic compounds (VOCs), and sunlight. The major sources of NOx are industrial facilities, electric power plants and motor vehicle exhaust, whereas chemical solvents, coatings, and consumer products are the primary sources of VOCs. The Clean Air Act (CAA) requires the Environmental Protection Agency (EPA) to establish national air quality standards for ground level ozone. Each state must develop a State Implementation Plan for ground level ozone, which typically includes regulations intended to lower VOC and NOx emissions. The Clean Air Act requires the EPA to review these standards every five years. In 1997, the EPA set a ground-level ozone standard of 80 part per billion (ppb). In 2008, after review, the ground-level ozone standard was lowered to 75ppb. In January of 2010, after another review, the EPA proposed to lower the standard again to a range between 60ppb – 70ppb. September 2011, the Obama administration halted the proposed lowered ozone standard due to regulatory burdens and economic conditions. Today the Clean Air Act and several lawsuits have put the EPA under a court-ordered deadline to issue a new ozone proposal by December 14th, 2014 and a final regulation by October 1, 2015. To protect public health, the EPA Clean Air Scientific Advisory Committee recommends strengthening the ozone standard to below 70ppb and as low as 60ppb. The National Association of Manufacturers (NAM) suggests that an ozone standard at the 60ppb level could cost billions of dollars per year and place millions of jobs at risk. 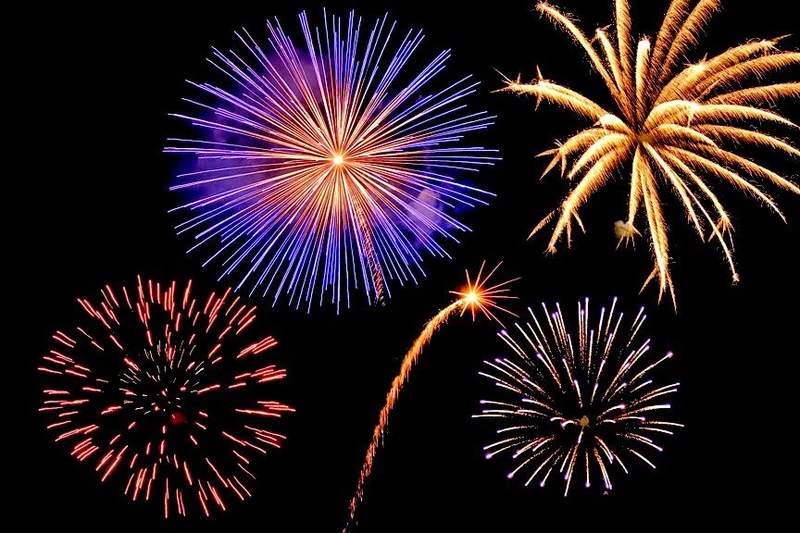 With increasing environmental concerns and the impending ozone standard change we could see significant growth in the powder coating industry due to the low level of VOCs that are released into the air with powder coating use. The process of manufacturing powder coatings is a relatively complex process that must be carefully controlled to ensure a high-quality final product. Powder coatings are manufactured in a multi-step process of pre-mixing, extrusion, and micronization. Basically, materials are blended, melted, cooled, and then pulverized. This blog will focus on pre-mixing, the first step in the process. Pre-mixing: this involves the weighing and mixing of all the raw materials, which includes resins, curing agents, pigments, and additives. Architectural powder coatings are a greener alternative than other surface finishes and provide enhanced durability that is appropriate for applications such as metal facades, railings, window frames, and light poles. We developed our TruDurance™ Architectural Powder Coatings to comply with AAMA 2603, 2604 and 2605 specifications. Each product series comes in a wide array of powder coat colors and is available in a range of gloss and cure responses appropriate for the technology. For more information on the TruDurance line, including series, colors, and specification comparisons, download our TruDurance Product Flyer.